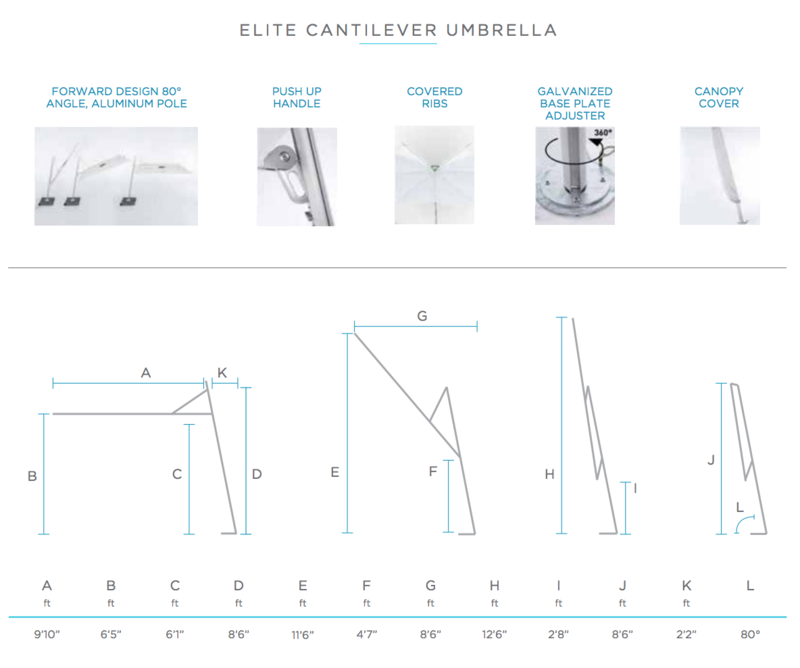 This ELITE CANTILEVER UMBRELLA by Ledge Lounger sports a unique accordion folding canopy that is available in a number of stylish Sunbrella fabrics. 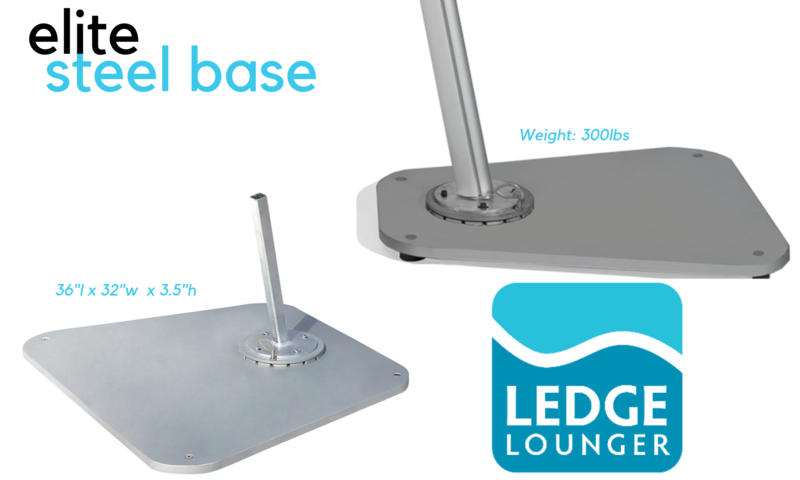 With its included 300 lb. 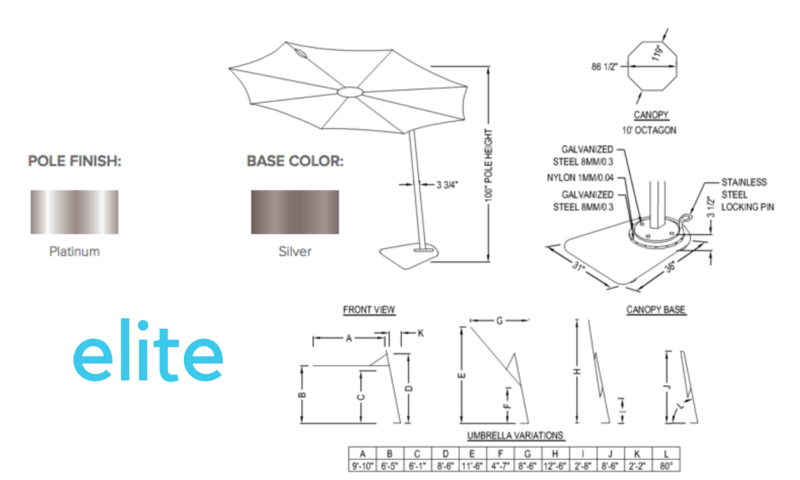 steel base helping to support its good form and function and wind resistance, the pole rotates 360° with customizable tilt positions to protect you from damaging sun rays. 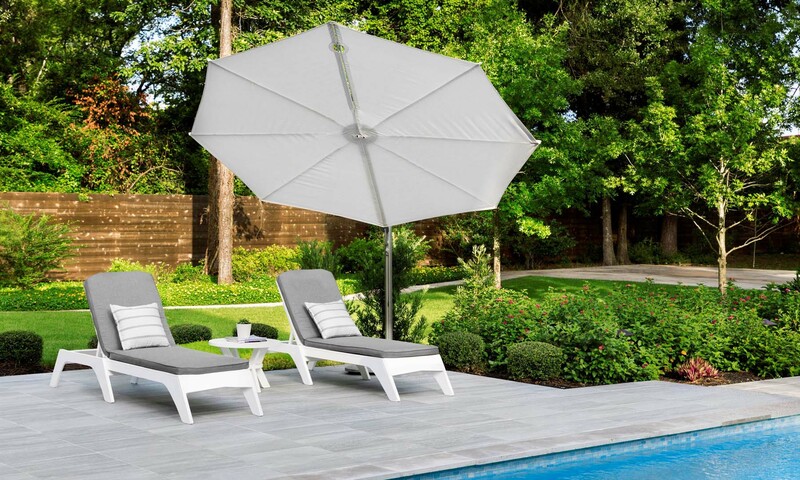 A sleek platinum powder coat finish adds to its modern mystique.